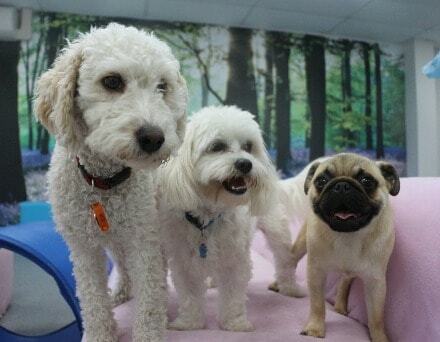 Have you ever considered taking your dog to a dog day care centre? If your dog spends a lot of time at home alone, maybe you should! Many dog owners find that Kalmpets’ dog day care provides their dogs with an environment that they love. We offer a lot more than anything you might have imagined dog day care might be! Our facility is set up to appeal to all of your dog’s senses and create a place that is fun. 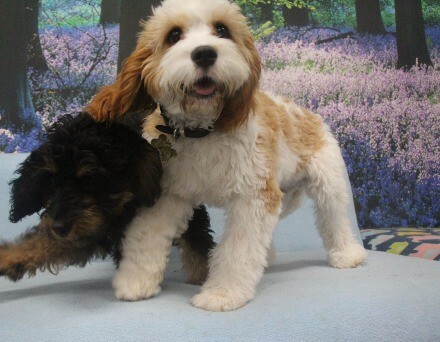 It’s also a great socialising experience for dogs of any age. We have a Pup Space designated just for the youngest members of our centre. Dogs love Sensory Tool School where they engage in activities involving the senses of touch, taste, sound, sight, and smell. We also offer Agility School where they learn to run an obstacle course. In Splash Space, dogs play in the water and then rest in the Zen Den so they can recharge. Day care offers dogs a chance to make friends and learn new things. The activities your dog engages in during day care will provide a focus for their energy. This often helps eliminate bad behaviours that come from too much time alone. Dogs get bored and restless just like we do. With all the activities they have to engage in at Kalmpets, you can count on a tired, well-behaved pet at the end of the day. We understand how important your pet’s safety is to you. You can enjoy peace of mind in knowing that our daycare program was designed with the safety of all dogs in mind. Your dog will also be supervised by canine specialists who understand dog behaviour and how to handle overactive or over enthusiastic dogs. Our day care was designed and built to provide a safe, fun environment for dogs. The facility is hygienic and designed with different zones to accomplish a variety of goals for different dogs. Even the best behaved dogs can benefit from sensory stimulation and the fun and excitement of meeting new friends and trying new things. You can count on Kalmpets for the most educational and beneficial day care experience for your dog. Contact us today and get started with the services that are right for your dog’s needs. Dog day care is the simple way to make your dog happier in mind and body. Once your dog reaches a new level of calm, you’re going to be a lot happier too!